In 1520, when Albrecht Dürer was travelling about in the Netherlands, he saw the gifts which Moctezuma, the spiritual and religious chief of the Aztecs, had sent by Cortés to present to Emperor Charles V, and he wrote in his travel journal: “I too have seen the things brought to the Emperor from the new Land of Gold…and in all my life I have never seen anything which so stirred my heart as those men in a faraway land”. This is what one of the most significant artists of the sixteenth century thought of early American art. And yet, three and one-half centuries later, the director of the Louvre refused to exhibit such objects innhis museum. The fact is that the rediscovery of early American art had to wait upon our century. 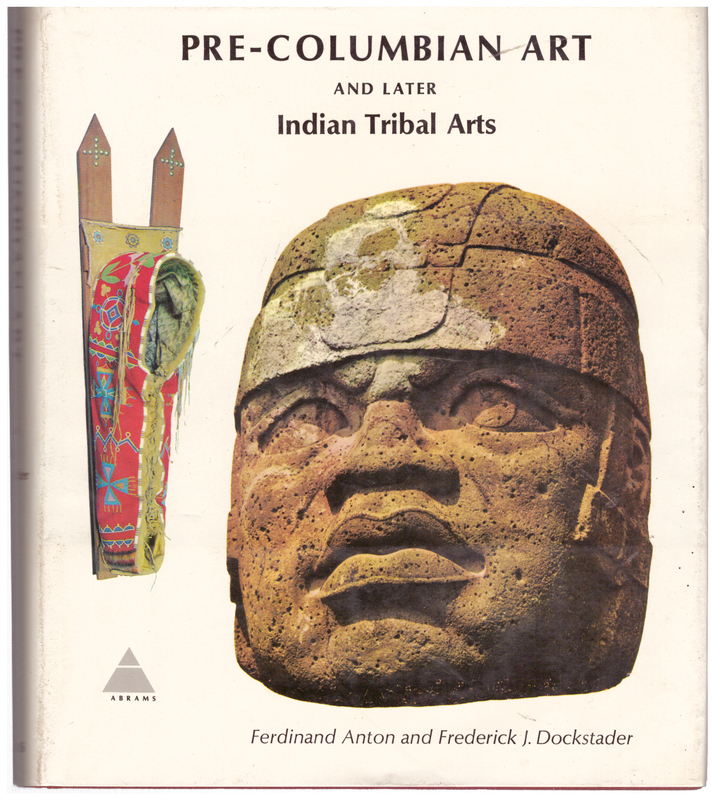 It was not only the art of Africa that stimulated the imaginations of modern painters like Picasso and Paul Klee and sculptors such as Henry Moore and Jacques Lipchitz, to mention only a few, but also, and as much, Pre-Columbian art. For two thousand years we have been living with a concept of “art” that we inherited from the Greeks. Now, in the twentieth century, it has begun to lose its hold on us. Such a cjange in values togeteher with the rise of a new set of values has meant that museums of art have have acquired new partners -partners of equal importance- in the museums of anthropology and ethnology. Above the entrance of the Musée de l’Homme, the ethnological museum in Paris, are inscribed the words of Paul Valéry: “On him who passes by depends if I am a tomb or a treasure, if I am to remain silent or speak”. These works of art reclaimed from the past did, indeed, begin to speak. At first, quite naturally, to artists themselves. In Dresden, Munich, and London, as in Paris, they aroused the enthusiasm of men who, in their own ways, were preparing a revolution in Western art. Many a textile pattern from ancient Peru made its way into the watercolours of Paul Klee. In many statues from the time before America was discovered can be found forms similar to those in Pablo Picasso’s paintings and ceramics. The great English sculptor Henry Moore has told how he could never find the courage to create a “negative space”, a hollow void within a closed form, until he had studied the Mexican sculpture in the British Museum. 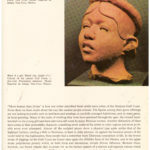 Because Europe was beginning to recognize the artistic value of those objects that had survived from the time before history, the relatively young countries of Latin America, which had only recently become independent of the Spanish or Portuguese crown, were encouraged in their efforts to explore their own pasts. 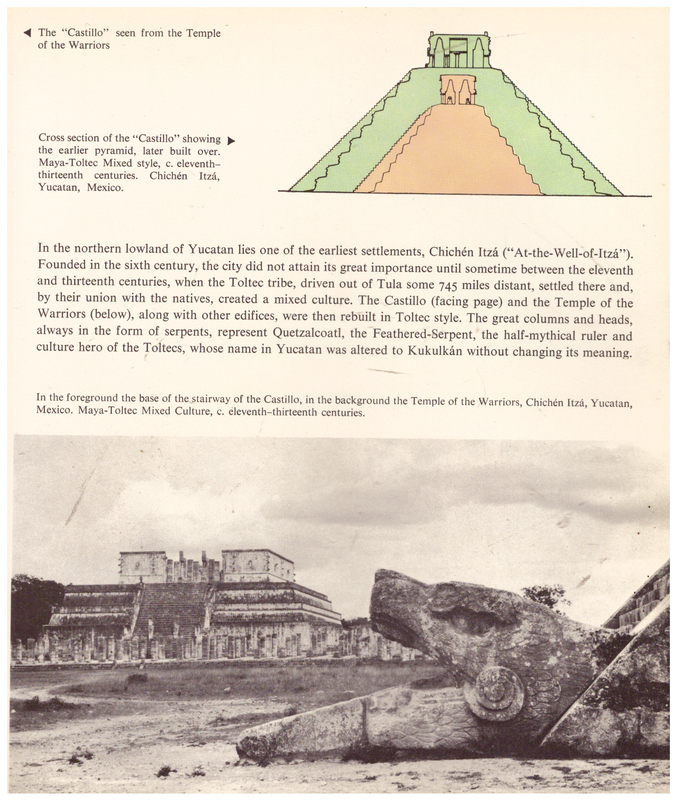 In Mexico alone, more than twelve thousand medium and large sized ancient settlements have been studied; in Peru and Bolivia something like half that number. At the time Columbus discovered the Western Hemisphere and called its people Indians under the impression that he had reached India, there must have been between forty and forty-five million inhabitants. A French ethnologist has singled out no fewer than 123 linguistic families whose interrelationships are by no means simple. 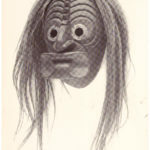 Like the languages of the New World, so too its arts reveals an extraordinary diversity of aspects, forms, and techniques. In the age that concerns us here, intellectual and cultural development was centered in Mexico, Guatemala, and some parts of the neighboring regions, along with the Central Andes of Peru and Bolivia. The full development of the lands in between, those called the Lands of Gold, was cut short by the Spanish Conquest. 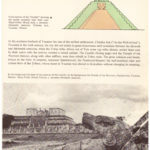 But their artistic legacy is worthy of standing alongside the achievements of the major higher civilizations, as are also those of the so-called primitives of our own time which are surveyed at the end of this book by a great authority in this field, Dr. Frederick J. Dockstader, whose contribution unfortunately, because of limitations of space, cannot be as large as its merits. 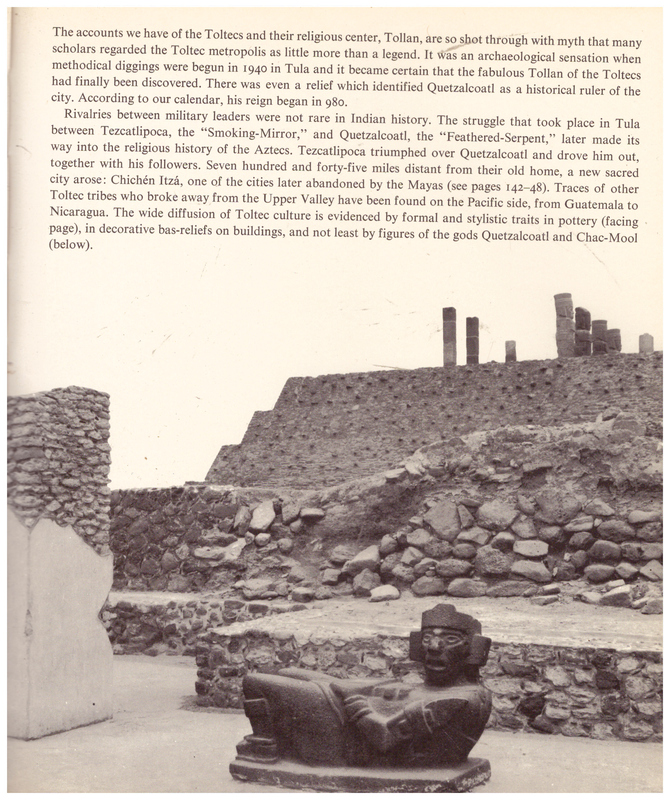 Reality for ancient Mexico, as Paul Westheim put it, lay in the myths it lived by. This is just as true of the other Indian cultures. Most religious systems are concerned with the morally good, with the conflict between good and evil. Not so those of the early peoples of America. Their gods were conceived as embodiments of cosmic forces. For that reason, there was no separation between good and evil, because the god who made the long-desired rain to fall could also bring it in excess, and the result might well be catastrophic. Christianity invented the Devil to account for such disasters, but in ancient America fortune and misfortune were dealt out by the same gods. And those gods were of a difficult temper -like nature itself in the tropics, of whose changing moods they are the reflection. 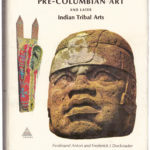 Art in the Americas was not “free”, as we understand that term. It had specific functions and duties. 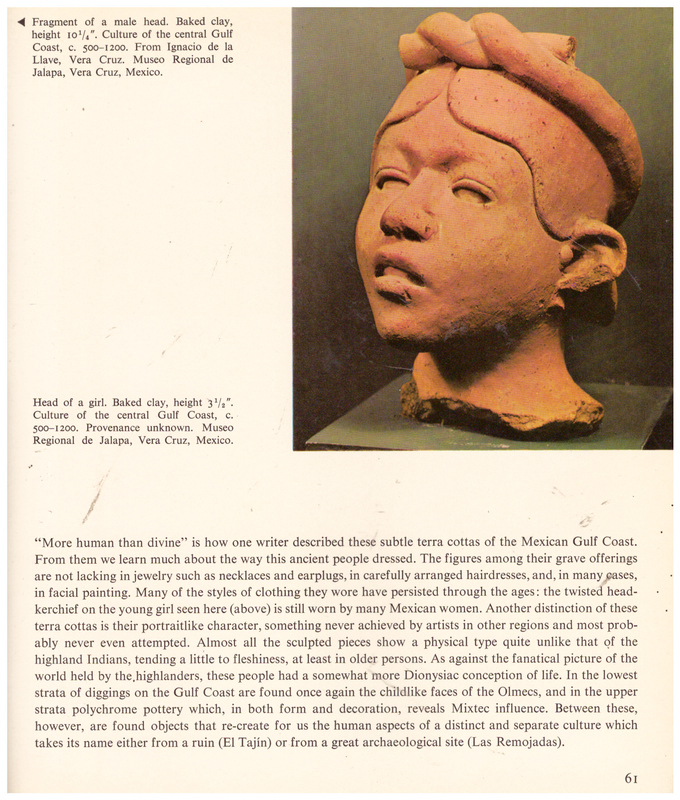 Which is why art for art’s sake, in the European sense, was simply unknown in pre-Hispanic cultures, except for a few minor instances in the later period. The artist was no more than a servant of society, and nameless. His work was all produced for religious purposes, either to be set up in the temples or to accompany the dead in their journey to the afterworld. 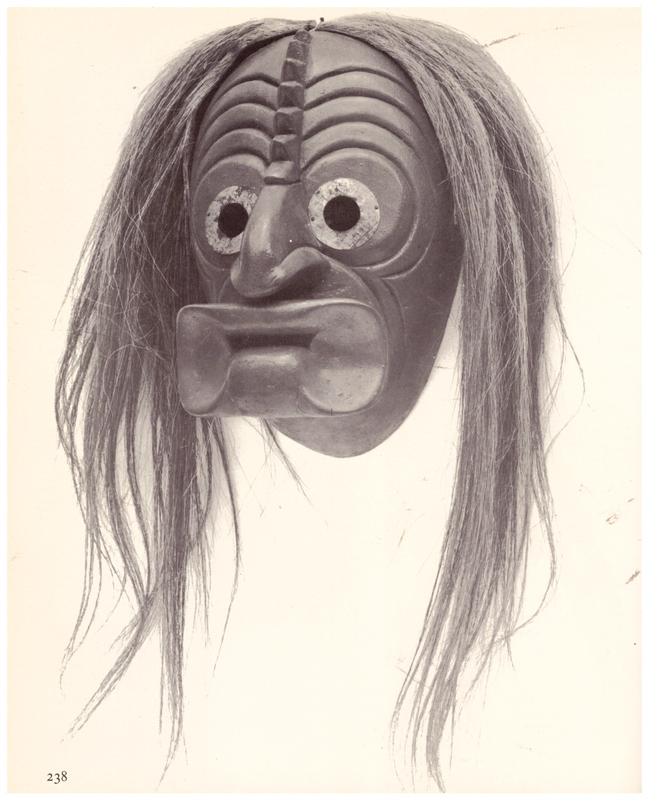 The dead themselves served as intermediaries between the living and the gods. In ancient America, “art” was invented to lend emphasis to the prayers of the living. For such reasons, what the artist strove after was not, essentially, beauty, but an impression. Certainly it was not by chance that it was precisely in the period of Impressionist art in Europe that the artistic value of what these early cultures created came at last to be appreciated. Aztecs, Incas, Mayas -their names resound like something out of a world of legend. And yet they were -they are- real. Their miraculous cultures are no more, yet their descendants live on today in the Upper Valley of Mexico, in the mountains and forests of Guatemala, on the high plateaus of Peru and Bolivia. But in the centuries since thye Conquest, the Indian race has produced no really significant artist except for Rufino Tamayo. The anonymous artists who shaped grave offerings out of earth, the unknown sculptors who hewed images of the gods out of stone with no more than primitive tools, the nameless architects who erected mighty temples for the gods and palaces for their priests, all of them were bound to a wholly different world of belief than their descendants of today. Impenetrable as the past may seem, in many instances archaeologists have succeeded in finding their way to an understanding of the complex spirit of a world of forms which is so many-sided, fraught with so many contradictions. 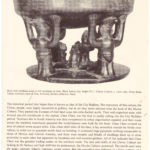 Myths and prayers, sagas of the gods and legends of heroes -some were written down by the conquerors in the early colonial period, but before then they had been carved in stone or shaped from clay or recorded in a pictographic script, and they are the key to our comprehension of the thought of the ancient Indians. Four times, according to a Maya legend, the gods created man, the creature “who preserves and nourishes the gods”. 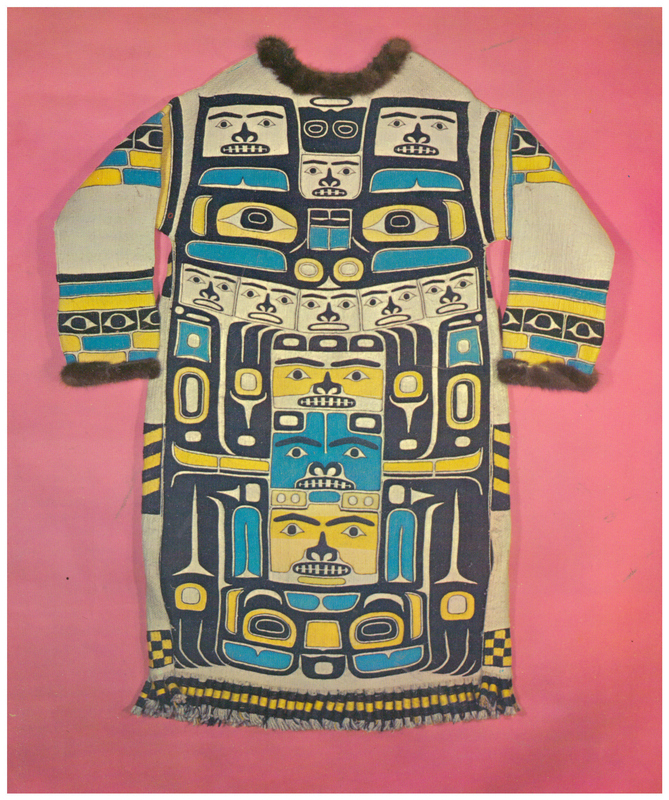 In the face of a standing challenge from nature in the lands of hurricanes and volcanoes, the lands of great earthquakes, the lands where vast stretches of desert surround a few small isolated fertile river valleys, the Indians accomplished extraordinary things both technologically and artistically. In the Upper Valley of Mexico, which acted as a kind of catch-basin for the streams of wild nomadic tribes that came down from the north, were found the first evidences of a great artistic past: the statuettes characterized by the name of the “pretty ladies” of Tlatilco. Here too stands what is probably the earliest architectural monument of America, Cuicuilco, “The-Plce-of-Song-and-Dance”, as well as the pyramid of Cholula, the world’s largest in terms of inner area. Farther to the south was the region dominated by the Mixtecs and Zapotecs. The Mixtecs were masters in working clay and gold, while the Zapotecs were among the most grandiose architects of the New World. These peoples, each in their own way, made their own the stimuli that reached them from the Upper Valley of Mexico and from the Maya regions to the south. By the time the first Europeans set foot on the ancient soil of the New World, most of the cities of the Maya civilization had long been covered over by the primeval forst. 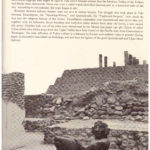 Only the ver tallest of their buildings towered aoboved the 200-foot-high jungle which had taken back as its own those terribly impressive ruins, mute witnesses of the city-states of that theocratic culture which, alone in either of the Americas, had developed a means of writing. But only about forty per cent of their hieroglyphics have been deciphered, and the larger part of them are still beyond our grasp. So meven the most eloquent, the most communicative of the early cultures remains shrouded for us in a secret silence. Only the cities of postclassic Maya times on the Yucatan Peninsula have told us something of what happened to them: the priests of their jaguar cult left rcords of hurricanes and plagues, of grim wars between brother and brother, and at last of the slow death of a civilization which had once risen so high. On the Isthmus of Panama were tribes which had taken refuge after having been driven out of their homes by stronger tribes. Their stone sculpture gives evidence of highly skilled craftsmanship, and their colorful and very imaginative ceramics still amaze us. That they left behind no architecture suggests that they never coalesced into any larger social organization, and that they were probably no more than small groups, each led by its own cheiftain. In Colombia the situation was quite different. There is every indication that the various tribes of that region would, in time, have united into a single kingdom had it not been for the Spanish Conquest. It was in Peru, however, that a real empire was established, an empire even in our sense of the word. To speak, as has been done, of the “Socialist State of the Incas” is an exaggeration except as applied to the final century of a 3000-year-old cultural development, but it could nevertheless boast of being the only great kingdom in the early Americas. The Aztecs in Mexico, likewise in the last century before the Spanish overran them, had subjugated at least two-thirds of all the Mexican tribes, but they never had the possibility, or perhaps the ambition, to weld the entire region into a single unified state. In Peru, religion may have played a great role in creating the centralized state. According to a widely diffused legend, the sun-god sent his four sons and daughters down to earth to found a kingdom. They were ordered to settle wherever their staves could penetrate easily the crust of the soil, and this occurred in the vicinity of Cuzco. The fact is, however, somewhat less fanciful: in the mid-thirteenth century, in this very isolated mountainous district, a ruling dynasty set itself up from among the Quechua tribe. As part of its policy, it gave a new impulse to the worship of the sun, the chieftain giving himself out to be born directly from the sun-god. Within something like a century, this small tribe in the Cuzco region managed to bring into being a “thousand-year empire” whose territory ranged over 350.000 square miles. Artistric genius, however, lay in other hands -in those of the cultures which had come before the Incas, notably the Paracas and the Nazca. 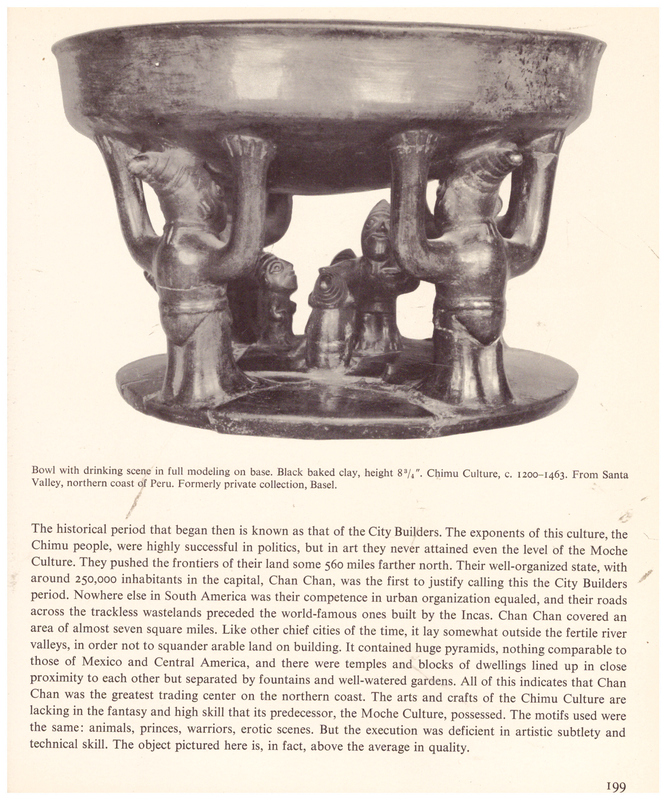 It was the potters of Moche and the goldsmiths of Chan Chan who possessed the real skill. 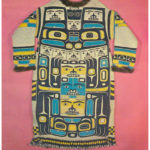 The Incas, like the Aztecs, were latecomers, newly rch as it were, who simply appropriated what older cultures had achieved before them, and who thereby won the enmity of other peoples. This is the only way to explain how Hernando Cortés, with only 400 soldiers, and Francisco Pizarro, with less than 200, could have seized such great kingdoms: only rarely do we remember to take into account the many hundreds of thousands of auxiliary troops the foreign conquerors were able to recruit, without difficulty, from among the enemies of the Incas and the Aztecs.